Was running the vacuum when the husband hollered out, "Grab your phone, come quickly. 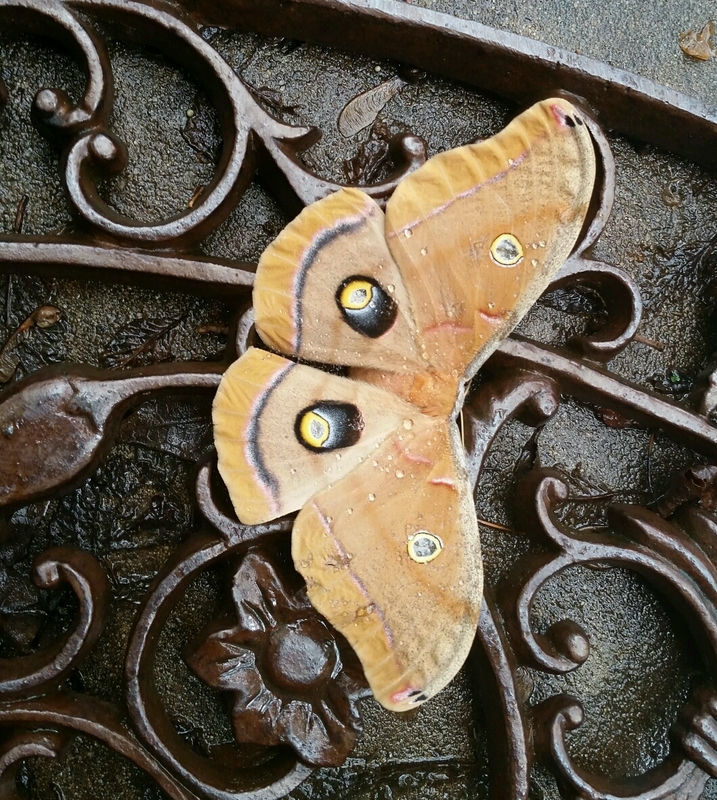 Just ouside the front door was this exquisite moth. Wow, what a PERFECT photo.